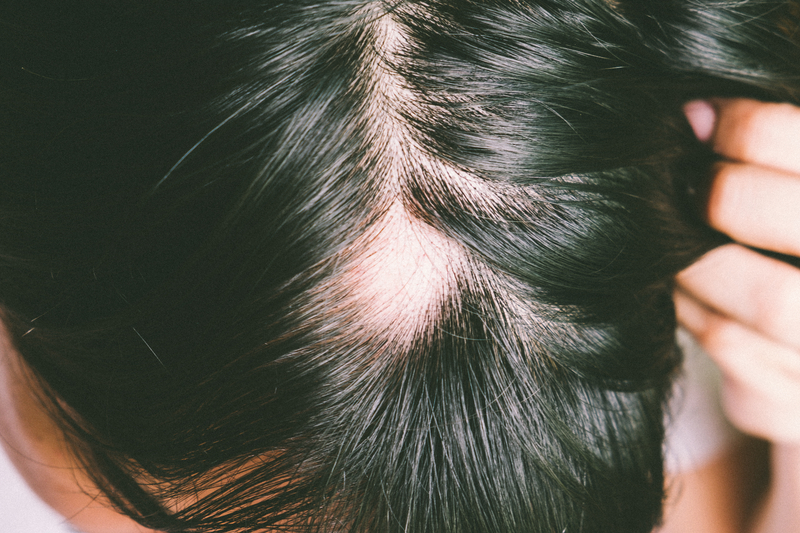 Androgenetic alopecia is often referred to as male-pattern baldness and female-pattern baldness. In men, bald areas develop in the front and top of the scalp. Women usually experience thinning hair along the top of the scalp. Alopecia areata, caused by the body’s infection-fighting system changes, presents as large and typically round spots of missing hair. There are numerous other reasons for hair loss. It is important to be evaluated by a physician to determine the root cause of your hair loss. Making an appointment with your physician can be helpful in determining what is causing your hair loss. It’s important to see your physician if you’re not sure why you’re losing your hair, suddenly have hair loss, are experiencing itching and pain on your scalp, and are tired or don’t feel well.Your doctor may order tests to look for a medical condition, but for most people experiencing hair loss, testing isn’t required. Once you have been evaluated by a physician and have determined what type of hair loss you are experiencing, a treatment plan can be developed for you. If your hair loss is due to a health problem, treating the medical issue may help. Sometimes, medications for the scalp can be helpful. On occasion, surgery can be performed to treat the hair loss areas that haven’t grown back. Over-the-counter medications, like Minoxidil (Rogaine), can be used for men and women. Finasteride (Propecia) is a prescription that is used for men and women who have been through menopause. Spironolactone (Aldactone) is an option for women who lack results from using Minoxidil. However, Spironolactone can’t be taken during pregnancy so often it is prescribed with birth control pills. For alopecia areata, steroidal medications can be given in a liquid, gel, foam, lotion, cream, or as an injection. The medication assists in slowing or stopping the immune response that causes alopecia areata. A dermatologist is able to offer topical immunotherapy, which is a medication applied to the area of hair loss. Often, a person may need multiple treatments to determine the effectiveness of topical immunotherapy. Depending on your cause of hair loss as determined by your physician, the Dermatology Center for Skin Health has hair loss products available for purchase. Clinically-tested vitamins and minerals to improve the strength and health of women’s hair. Clinically-tested vitamins and minerals to increase hair growth and provide fuller hair in men. Scientifically formulated with the marine complex, AminoMar, which helps to promote existing healthy hair growth. At the Dermatology Center for Skin Health, our priority is to deliver complete, compassionate care to our patients while educating you regarding the health and beauty of your skin in a comfortable and convenient setting. When you have thinning hair issues, you need to turn to a dermatologist who listens and responds. Our dermatologists are experienced doctors who know the field and can effectively diagnose and treat your needs. They can counsel you on the best ways to maintain and improve all aspects of your skin health. If you are suffering from hair loss or have any questions, schedule an appointment with one of our dermatologists today: 304-598-3888.